You’ve got a vacancy to fill, all you need to do is write some copy about the role, upload it and hey presto – job done, right? Wrong. 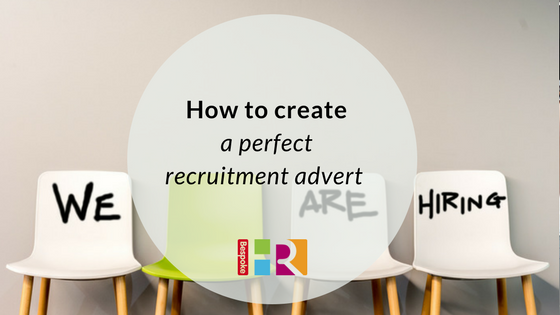 Finding the right candidate, saving your business valuable time and effort, all comes down to crafting the right recruitment advert. So how do you get it right first time around? Many employers still omit this from an advert. Not only does this give your role a certain vagueness – it will result in a deluge of applications from candidates who are not suitable. Fail to include salary details and you will receive applications from candidates who are too junior or too senior, and potentially miss the ones who are right for the role. If you offer rewards or an employee benefits scheme it is important to mention this too as it could be a massive draw. Recruiting is a two-way process. It’s as much about a candidate selling themselves as your opportunity to sell the company. Make sure your advert opens with a winning paragraph about your business, clearly stating what it is you do. This is the first thing the potential candidate reads about your organisation so make sure it’s compelling. Monster recommends you keep this to around 40 words. Think carefully about the job title you are creating. Over-complicate and it will put off potential candidates who won’t understand what the job entails. Think about what you would want your new employee to type into a search facility to find your role. Be clear on what you’re looking for; if your role requires a specific set of skills make sure these are clearly outlined. Ideally you would divide these up between what’s essential and what’s desirable for the role. Specify where the job is based, if there will be travel involved and if there are flexible working options available to avoid any confusion at the interview stage. Is your role full-time, part-time or open to negotiation? State this clearly in the advert. If you’re looking to fill a part-time role (with flexible working hours) this could potentially appeal to a parent or someone looking for a returnship. If this is the case, you can mention this within the advert to attract more candidates. This could also influence where you advertise (for example, if you were advertising a role available within school hours there are several part-time recruitment sites which would be ideal). Job sites will use keywords, and search engines pick up on these – leading to greater visibility for your post. Recruitment Genius advises your keyword should make up 5-10% of your whole advert, but that you should keep the writing style natural. For more information on recruitment, we are offering 15 minutes of free HR advice.